My parents taught me to make my own breakfast when I was about 6 years old. I'm not talking about cereal with milk and juice. I woke up early and I wanted a full-on breakfast: fried eggs, grits, cheese toast and a glass of milk. So every Saturday morning I made myself this breakfast. I can't even begin to tell you the sense of capability I felt knowing I could cook my own breakfast while most of my friends weren't even able to bake their own cookies yet; and the feeling of knowing my parents had confidence in me was also a wind in my wings. So one of the many topics of thought for me as I was becoming a mama was knowing that I wanted my daughter to feel that same sense of capability in herself and to know that her parents also had confidence in her abilities. 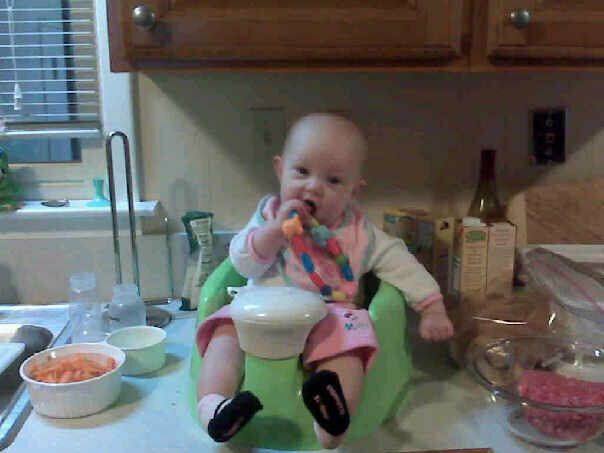 I started shortly after she was born; she was too young for actual cooking, but I wore her while I cooked and narrated everything I did to her. 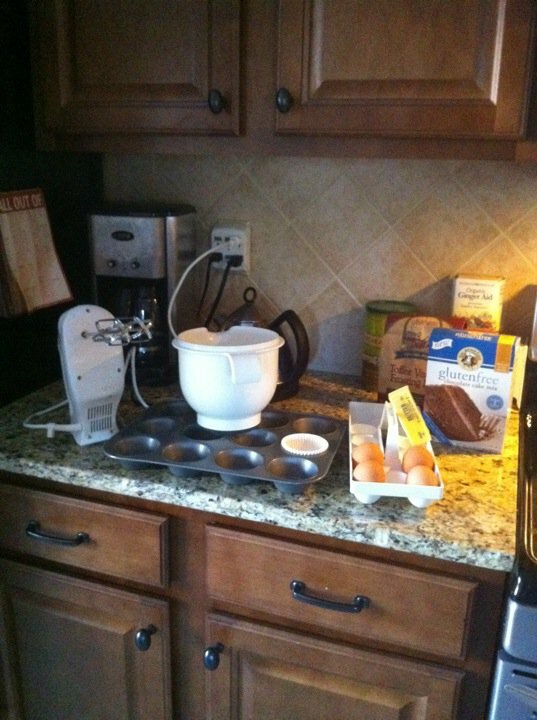 And since she had numerous food allergies at the time WE COOKED A LOT! Once she was confident on her own two legs I bought a learning tower (http://www.mylearningtower.com/) so she could safely stand beside me and help me prepare, cook and clean up. Occasionally I helped from here. 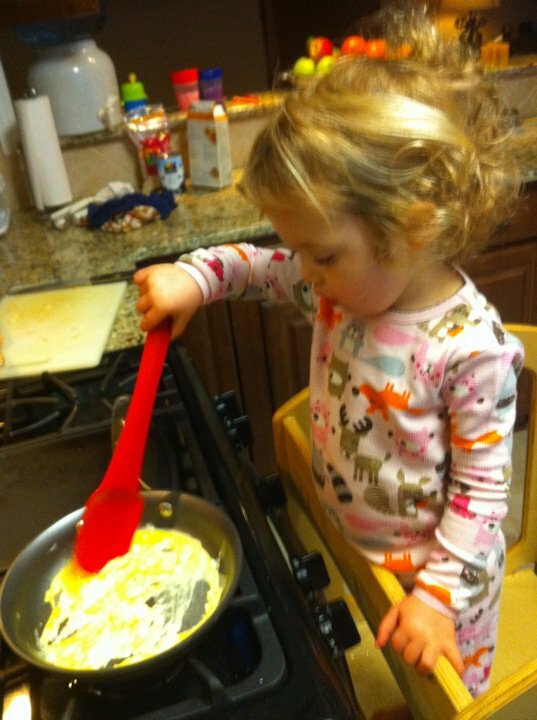 Hand on utensil and cooking tower. Oh my gosh! That is so cool! And I thought my mum teaching me to cook at about 9 was early. I am so going to try that. I do often wear my daughter in a sling to cook. I love this! We actually just got our learning tower today, I'm so excited to teach my son to cook! Thank you for sharing! Love it! 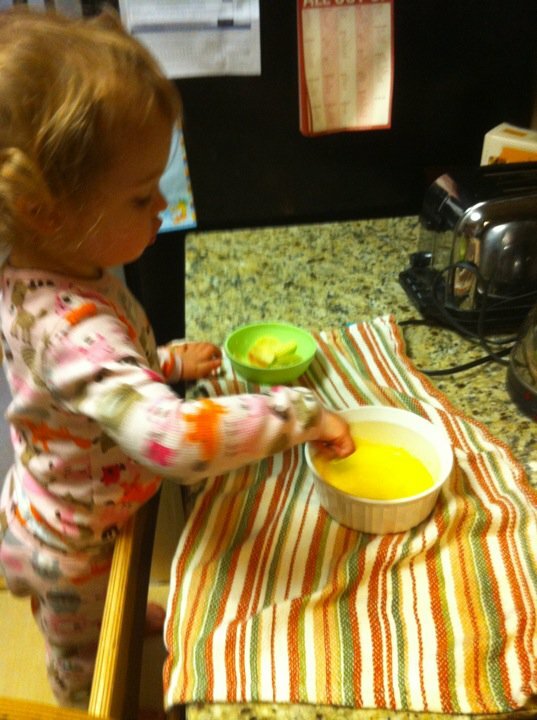 My daughter has been stirring hot pots and dumping noodles since she was 2. I love it! 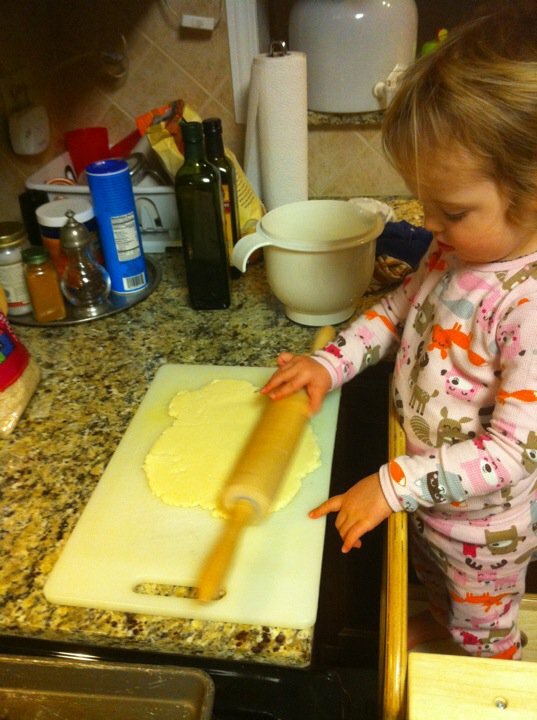 There is a great cookbook that is geared for young children and it involves having THEM do the actual cutting, etc. With helpful hints for parents (let child cut zucchini with a table knife, and if the chunks are too large, you just cut them smaller.) It's very Reggio-inspired. My only complaint is it is whimsically illustrated and not photographed, so it's hard to have the child choose the recipe, but the recipes and instructions themselves are really awesome for cooking with your child in this way. It's called Pretend Soup. The follow-on is Salad People. The books also include helpful quotes from the panel of preschoolers who tested the recipes.